A Mod for Star Wars Knights of The Old Republic 2 Author: N-DReW25 Release Date: 11.06.2017 Installation: Simply Copy and Paste or Drag or Drop ALL the files within the "For Override" into your Star Wars Knights of The Old Republic 2 override folder Uninstallation: Remove or Delete the files from your Star Wars Knights of The Old Republic 2 override folder Description: While I was playing the game I discovered the "Get out of here before I space you" Guy at the Serroco camp had a line to say that wasn't voiced by his correct actor. Naturally I threw together this quick mod to give fix that small problem so the NPC now speaks a line that was voiced by his original actor. Here is a preview of the problem and the fix Known Bugs: None that I know of but if there is please report it so I can fix it Incompatibilities: Is incompatible with anything that edits "serthug2.dlg" Permissions: Do NOT claim credit for this mod and please ask me for permission if you want to use this in your mod Thanks: Bioware for such an amazing game, Fred Tetra for Kotor Tool, Obsidian for not deleting the textures and everyone who downloads the mod. Legal: THIS MODIFICATION IS NOT SUPPORTED BY BIOWARE/OBSIDIAN ENTERTAINMENT, LUCASARTS, DISNEY OR ANY LICENSERS/SPONSORS OF THE MENTIONED COMPANIES. USE OF THIS FILE IS AT YOUR OWN RISK AND THE ABOVE MENTIONED COMPANIES OR THE AUTHOR IS NOT RESPONSIBLE FOR ANY DAMAGE CAUSED TO YOUR COMPUTER FOR THE USAGE OF THIS FILE. 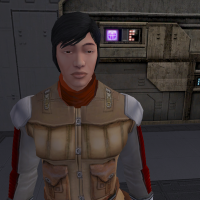 This mod addresses several issues with Jedi Malak's mouth in KOTOR II. These fixes include getting rid of the white box in his mouth, correcting the texture used for his tongue, connecting verticies that had gaps, enlarging the upper & lower teeth, & adjusting the placement of all of the above. As pointed out by JC, Jedi Malak's model also used the wrong supermodel, which I've included as a fix in this mod as well. All seriousness aside, my intention with this mod was to ensure that Malak's mouth would only remain a disaster post-contact with Revan's lightsaber. 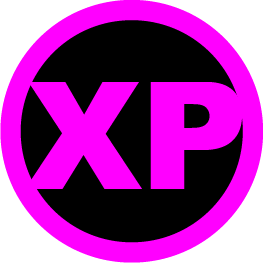 Installation & Uninstallation To install this mod, drag the "Override" files to the Override folder located in your game's directory. If prompted, select replace. To uninstall this mod, delete n_jedimalek.mdl & n_jedimalek.mdx from your game's Override folder. Compatibility & Known Issues This mod will not be compatible with anything else that replaces this model. 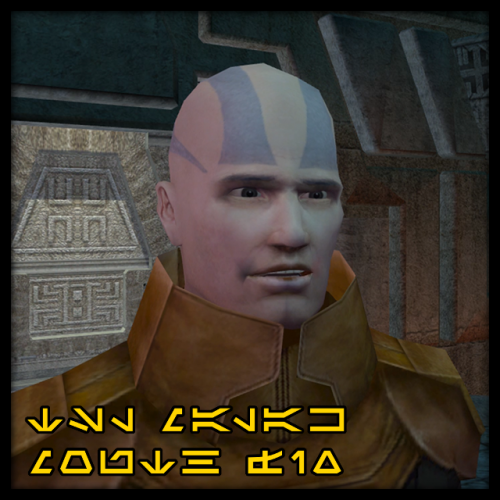 Known issues: When entering the Korriban cave tomb, Malak's tongue will appear half white. This is due to the lighting where he's standing & most likely can't be fixed. Credits Fred Tetra, Kotor Tool bead-v, MDLedit Fair Strides, MDLOps Symmetric, Purifier, & ndix UR; KotOR Blender Blender Foundation, Blender Thanks to JCarter426 for the help/troubleshooting & ebmar for the enthusiasm! Disclaimer This mod is not supported by LucasArts, BioWare, or Obsidian Entertainment. It is for personal usage only & intends no copyright infringement. Contact me on DeadlyStream or via Discord (listed on my DS profile) if you have any questions, comments, suggestions, or the like. If you want to use this mod as a part of an external work, please reach out to me & ask for my permission first. If granted, just make sure to add the proper credit. Greetings, fellow Jedi! May the Force be with you. I'm opening this thread awaiting further discussion of fixing collar for PFBF model variant in particular- which me and @DarthParametric previously discussed here. So, continuing from where things left off- Does fixing the collar had anything to do with moving the model's vertex? I'm looking to have practice on fixing the issue personally. and also- It seems the large model which is the PFBFL variant have a similar level of worse too; as seen here: Was so damned as two of my released mods were using PFBF_ variant, lol Many- many thanks for considering this. 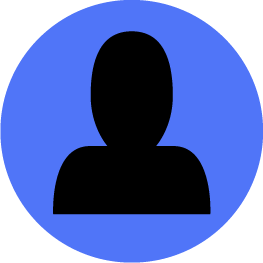 The modification consists of three parts, which the user can set to his own taste, which he deems necessary for himself. First part. Shaardan fix. For a long time it seemed to me incomprehensible why Shaardan walked with a lightsaber, and during the bout with Revan he uses a two-sided swords. This mod fixes this. 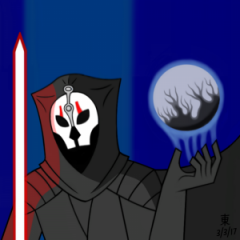 In the in-game files, during the first encounter with Shaardan, he uses a light sword with a red crystal, but for the rest of the time, just like the rest of the academy students, he wears the light sword of the dark Jedi. I eliminated this, although in the game it will be unnoticeably. The second part. Sith apostates fix. Modification changes the weapons of disciples of apostates in the cave to lightsabers. It's unclear why they used this weapon, because they studied at the academy for the Sith. The third part. Elite Sith Warrior fix. Modification changes the weapon of elite Sith warriors (Kalo Nord companions) to lightsabers. It is noteworthy that these warriors do not resemble elite Sith warriors, they are similar to students from the academy, so handing them lightsabers is well deserved. 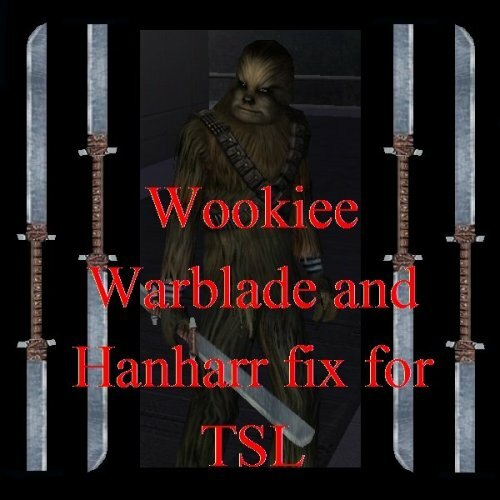 Instruction: Copy the g_w_warblade001.uti file and select the files: p_hanharr.utc p_hanharr001.utc p_hanharr002.utc from the proposed options in the override folder. 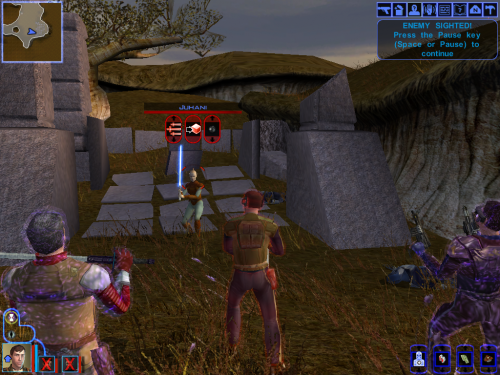 Description: This modification returns the Wookieblade blade from the first part of the game. In the original, it is rather weak, and besides it cannot be modified. I corrected this by increasing the parameters of the blade and added the possibility of modifying it, after which the blade will become a terrible weapon. To get it is simple: for supporters of the light side, you must kill Hanharr and pick up his inventory. I also added the following to his inventory: 1. 3000 credits. Did it seem to you that this Wookiee is too poor for a bounty hunter? After all, killing enemies for free, even if you are such a crazy Wookie, who only needs to kill, looks very implausible. We remember that Hanharr works for Vogga Hatt, who generously pays for the work, and it’s unreasonable to refuse to take money before such a boss. Now Mira will have the motivation to eliminate this Wookiee. 2. War sword wookiee. 3. Sword of Freyyr. It is not clear how Wookiee got it. But the developers put this original sword for a reason, it makes sense. Now it can be found much faster. For those who pass Nar Shaddaa first this sword and the rest of the Hanharr inventory will be a good gift. If Bao-Dur is not yet a Jedi or a Sith or he does not have lightsaber, then this sword will be useful to him in battle. 4. Ryyk blade. It is not clear where these swords disappear after the murder of Wookiee, because if we take him as a friend we will have them in our inventory. Now it is fixed. 5.Bowcaster. What kind of Wookiee travels without this rifle? That's right, just crazy. And yet this is not the end. Now Wookiee will own his native weapon. 6.D-Package. It is strange why it is not available to us, because if we are on the dark side, then we get it. For supporters of the dark side, it’s enough to take Hanharr as companions. He will have the same inventory as if he were killed, not only mines and 3000 credits. I added two options for carrying a Hanharr weapon - 1. NOT EQUIPPED, is in inventory. Wookiee will be equipped in standard blades, and the Wookiee sword will be in his inventory. 2. Equipped with a Wookiee sword (blades in inventory). Hanharr will immediately carry the Wookie's sword, and the standard blades will lie in his inventory. The characteristics of a Wookiee sword are average compared to other weapons. Characteristic is in the screenshots. But if you upgrade it, you can turn this sword into a formidable weapon! Credits: Do not use this modification in any form without my permission. A Mod for Star Wars Knights of The Old Republic II The Sith Lords Author: N-DReW25 Release Date 1.0: 01.10.2018 Installation: Simply Copy and Paste or Drag and Drop ALL the files within the "For Override" into your Star Wars Knights of The Old Republic 2 override folder Uninstallation: Remove or Delete the files from your Star Wars Knights of The Old Republic 2 override folder Description: In 401DXN there are a handful of cut items resting in the files. Whilst I have restored those other items in a separate mod among these items was an old version of Arca Jeth's Robes with different stats. What this mod does is "restores" the original stats of Arca Jeth's Robes while still retaining the original robe textures and price seen in the vanilla/TSLRCM game. 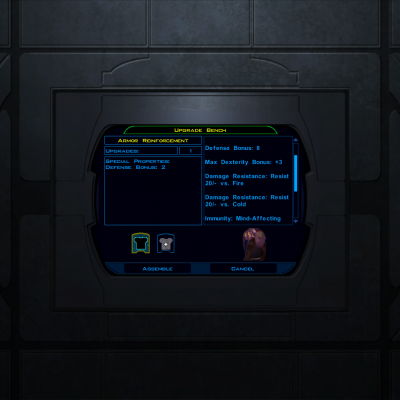 Vanilla/TSLRCM Stats: Defense Bonus 2 Wisdom 2 Regenerate Force Bonus 3 Restricted to Light Side Arca Jeth's Original Robe Stats: Defense Bonus 3 Strength 4 Wisdom 2 Restricted to Light Side Known Bugs: This mod shouldn't have bugs but if there is Just PM me on Deadlystream. 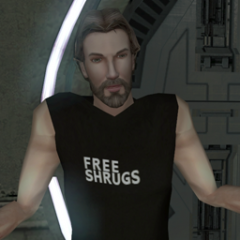 Incompatibilities: Is incompatible with anything that edits "a_robe_23.uti" Permissions: Do NOT claim credit for this mod Thanks: Bioware for the first game Obsidian for the second game Fred Tetra for Kotor Tool and everyone who downloads the mod. Legal: THIS MODIFICATION IS NOT SUPPORTED BY BIOWARE/OBSIDIAN ENTERTAINMENT, LUCASARTS, DISNEY OR ANY LICENSERS/SPONSORS OF THE MENTIONED COMPANIES. USE OF THIS FILE IS AT YOUR OWN RISK AND THE ABOVE MENTIONED COMPANIES OR THE AUTHOR IS NOT RESPONSIBLE FOR ANY DAMAGE CAUSED TO YOUR COMPUTER FOR THE USAGE OF THIS FILE. 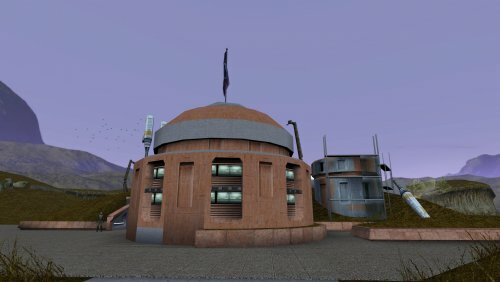 A Mod for Star Wars Knights of The Old Republic Author: N-DReW25 Release Date: 26.08.2016 Release Date 1.1: 10.10.2018 Installation: Simply Copy and Paste or Drag and Drop ALL the files within the "For Override" into your Star Wars Knights of The Old Republic override folder Uninstallation: Remove or Delete the files from your Star Wars Knights of The Old Republic override folder Description: In the Hidden Bek Base, their is a door labelled "Control Room" which cannot be unlocked, unlike the security doors that can be unlocked once you decide to finish a certain quest dark side. I found this annoying as the Control Room's interior is on the module loading screen, what this mod does is restore the Control Room and a small bit of Restored Content. This is less of 'cut content' and more of 'broken content' as I have reason to suspect this door was working on the Xbox version Known Bugs: This mod shouldn't have bugs but if there is Just PM me on Deadlystream. 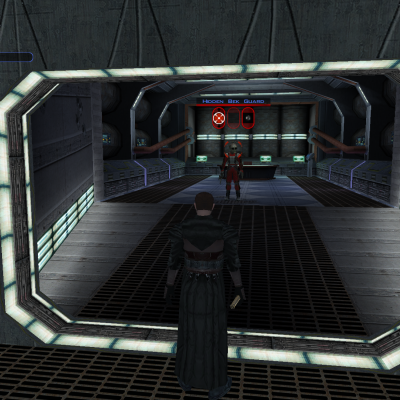 Incompatibilities: Would be incompatible with anything that edits "tar11_lockdoo001.utd" Permissions: Do NOT claim credit for this mod Thanks: Bioware for such an amazing game Fred Tetra for Kotor Tool and everyone who downloads the mod. Legal: THIS MODIFICATION IS NOT SUPPORTED BY BIOWARE/OBSIDIAN ENTERTAINMENT, LUCASARTS, DISNEY OR ANY LICENSERS/SPONSORS OF THE MENTIONED COMPANIES. USE OF THIS FILE IS AT YOUR OWN RISK AND THE ABOVE MENTIONED COMPANIES OR THE AUTHOR IS NOT RESPONSIBLE FOR ANY DAMAGE CAUSED TO YOUR COMPUTER FOR THE USAGE OF THIS FILE.